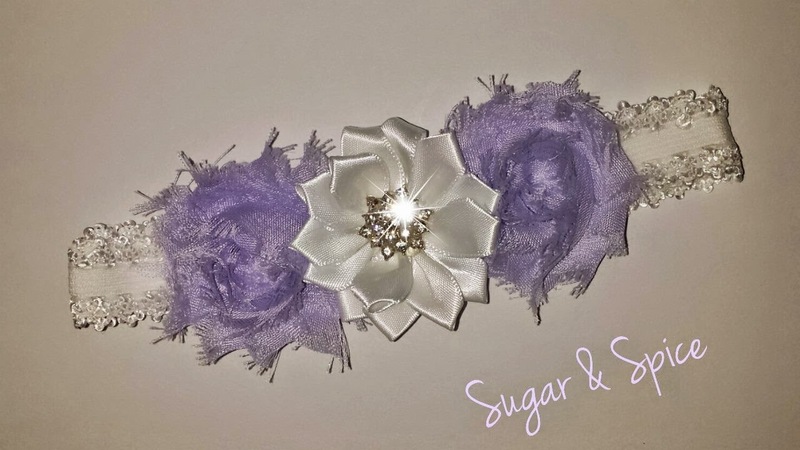 Sugar and Spice Ribbons is giving away this beautiful headband to one lucky winner. Visit Sugar and Spice ribbons on facebook. Leave a comment on the wall. Say something like "Thanks for the giveaway!" Hit that "thumbs up" button while you are there. Shoppes dig it when you like them ;) Who knows you may just find something else that you like too! This giveaway will end on 2/20 at 12pm cst. Thank you from Sugar and Spice! !